Commonly referred to as Tahiti (after the largest island), French Polynesia is an overseas country of France, which comprises 118 islands grouped into 5 archipelagos (the Society Islands, the Marquesas Islands, the Tuamotu Islands, the Gambier Islands, the Austral Islands). Polynesia stretches in the centre of the Pacific Ocean on both sides of the equator and of the date line. The capital of the whole territory is Papeete, a city on Tahiti, which is the largest and most known single island of the Winward Islands. The official language is obviously French. 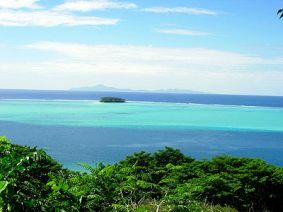 Other atolls, islands, and their whole groups belonging to French Polynesia include: Bora-Bora, Huahine, Taha’a, Raiatea, Maiao, Markizy, Maupiti, Mehetia, Moorea, Tetiaroa, Tuamotu, Tubuai, and Tupai. Mainly volcanic in origin, except for some archipelagos which are coral atolls (in particular on Tuamotu), the islands, surrounded by the lagoon and separated from the sea by coral reefs, depict all forms of wonderful nature. Green in colour when seen on the horizon, with peaks hidden high in the clouds, numerous waterfalls and valleys, as well as beaches with coral sand and vanilla plantations, the country is a paradise for all cruise members. 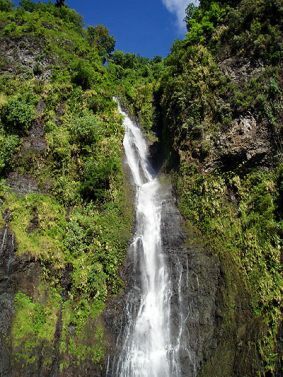 Polynesia, and in particular Tahiti, is one of the most popular tourist attractions of the Oceania. However, the price for fame is high – it is one of the most expensive countries in the region. A perfectly prepared yacht and catamaran fleets, countless islands, islets, lagoons and atolls will surely add variety to the time spent under the white sails. 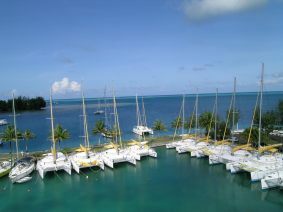 The Raiatea marina, named after the island it is situated on, is our main base. We “sail to where the shining sun does not disturb the shadow of the night” (quote from a sea shanty).